Goodreads Description: No one expects a princess to be brutal. And Lada Dragwlya likes it that way. Ever since she and her gentle younger brother, Radu, were wrenched from their homeland of Wallachia and abandoned by their father to be raised in the Ottoman courts, Lada has known that being ruthless is the key to survival. She and Radu are doomed to act as pawns in a vicious game, an unseen sword hovering over their every move. For the lineage that makes them special also makes them targets. My Thoughts: Wow….. I had to gather my thoughts before I posted a review because I was speechless. 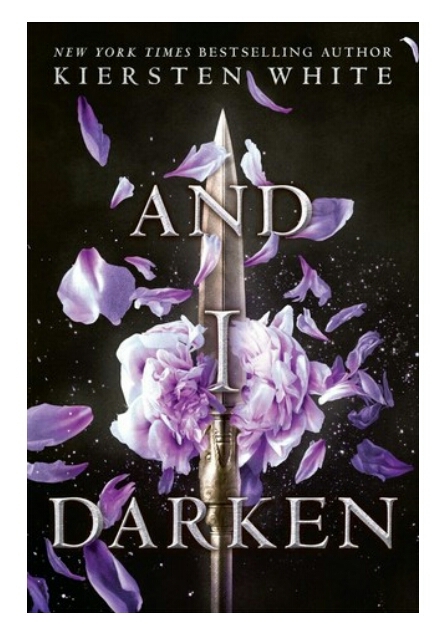 I know the story of Vlad the Impaler so I was skeptical about a YA gender swap retelling. The author did an amazing job, I forgot all about Vlad and only focused on Lada. The characters were very well developed and I found myself connecting with not only the main characters but also the side/minor ones. I felt each emotion and loved the writing style. The story kept my attention (I purchased the audio book to listen to on my walk, 3 miles turned into 6 miles lol) and even when there wasn’t fighting the author used those times to give you a better understanding as opposed to just filler chapters. I need the next book NOW! Previous Post September Wrap Up!! !